As you may know, attorney Dana Quick recently joined Bugbee & Conkle. 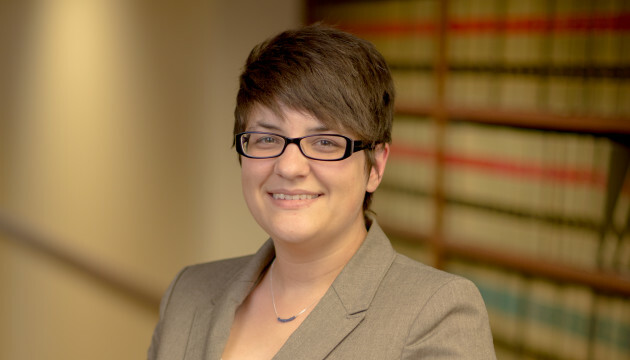 Before relocating to Toledo and joining Bugbee & Conkle, Dana practiced law in Miami, Florida, with a boutique law firm that focused on bankruptcy and commercial litigation. Dana has extensive experience prosecuting and defending adversary proceedings and contested matters in Bankruptcy Court involving individuals, small and mid-sized companies, and multi-national corporations. She has also represented businesses operating in a wide range of industries including defense contractors, real estate investors and developers, construction, communications, oil and gas, hospitality, and food service. Two of Dana’s more noteworthy cases involved the bankruptcy case of NFL quarterback Michael Vick and a feeder fund to Bernard L. Madoff Investment Securities. Finally, in addition to her experience in bankruptcy court, Dana brings experience in other insolvency matters, such as representing assignees and assignors in assignments for the benefit of creditors, and assisting individuals and businesses in informal debt workouts. Because Bugbee & Conkle primarily represents employers, the firm looks forward to discussing how it may now assist its clients in bankruptcy and other insolvency matters. Please contact us at 419-244-6788 or through our website at www.bugbeelawyers.com to discuss how Bugbee & Conkle may be able to assist your company in bankruptcy and insolvency matters.